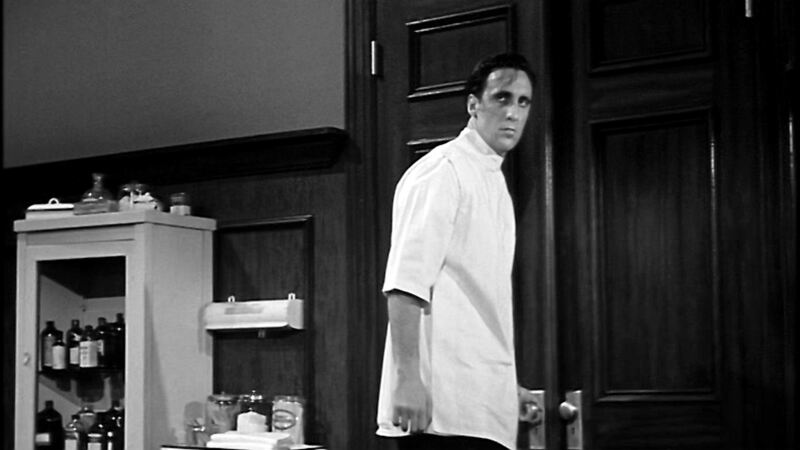 Today’s pic takes another gander at the unnamed but unnerving back-alley abortionist of the low-budget cautionary melodrama Unwed Mother (1958), directed by Walter Doniger. The unfortunate title character (Norma Moore) is definitely wondering what she’s gotten herself into at this point. 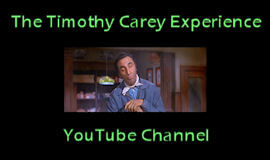 This was Timothy’s first film after Paths of Glory (1957), which, let’s face it, would give the average actor whiplash. But as we know, Tim was not the average actor, and he never walked through a role. No matter how big or how small the part, the budget, or the “prestige,” he gave his all in every performance. 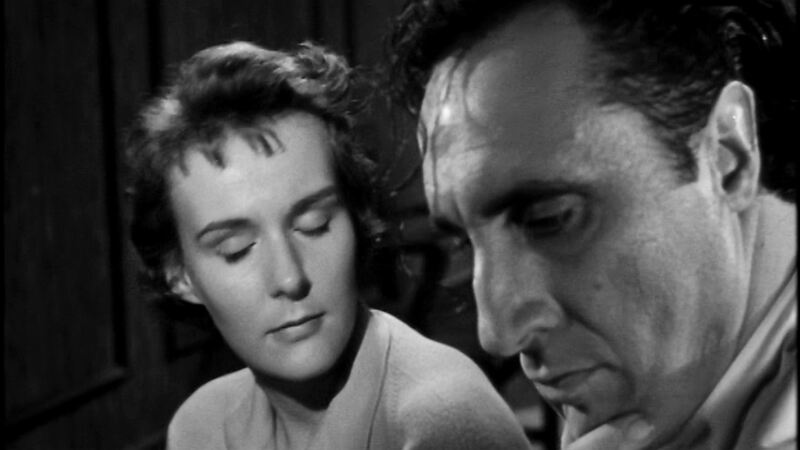 Today’s pic is another from Unwed Mother (1958), directed by Walter Doniger. Timothy’s sweaty, disheveled abortionist looks here like he just wandered in from a German Expressionist film of the 1920’s. Tim’s brief appearance is definitely the highlight of this moralistic melodrama. Check it out on DVD and also on Fandor. 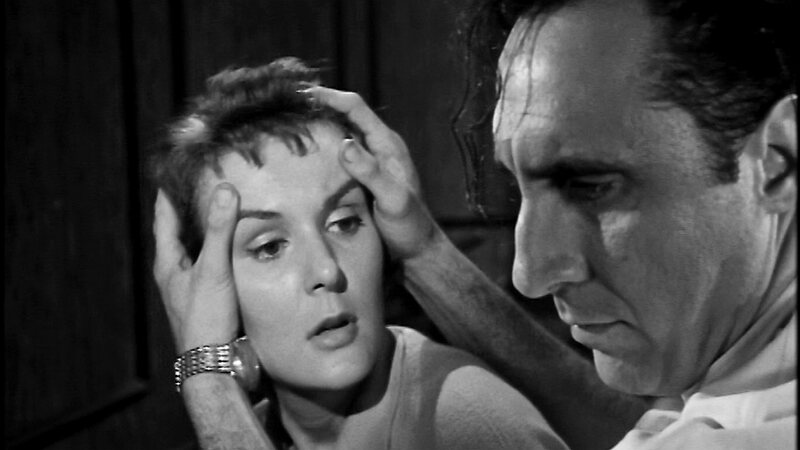 Our pic today takes another look at Timothy’s grumpy back-alley abortionist from Unwed Mother (1958), directed by Walter Doniger. He seems to resent the intrusion of the title character, Betty Miller (Norma Moore), into what is apparently his drinking time. Betty seems to be reconsidering her plan. Moore was a busy actress in the 1950s, mostly on television. She took some time off in the 60s and 70s and made a comeback in the 80s, again mostly on the small screen. Her most recent appearance was three years ago in the Christian-themed short Careful What You Wish For. I’m in a medical mood today, having spent all morning in the dentist’s office. 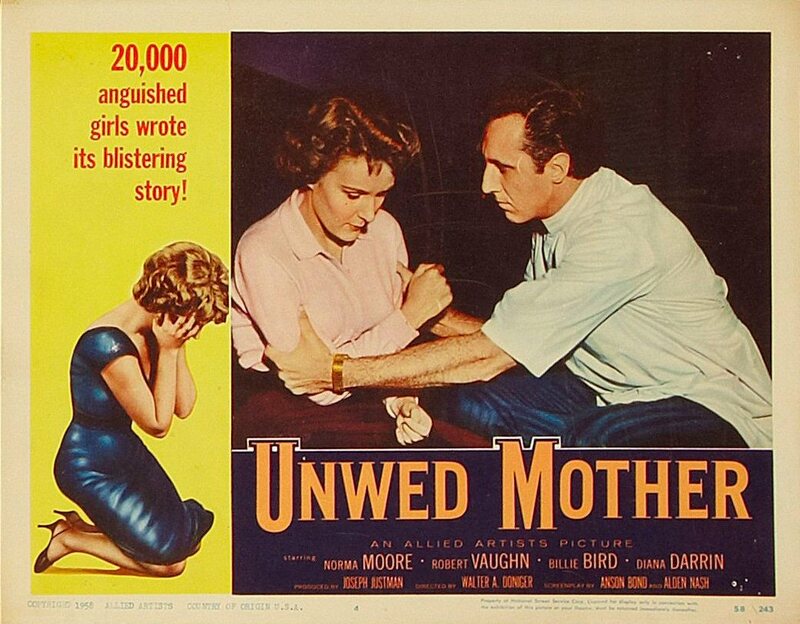 So today’s pic is a lobby card from Unwed Mother (1958), Timothy’s first film after Paths of Glory (1957). 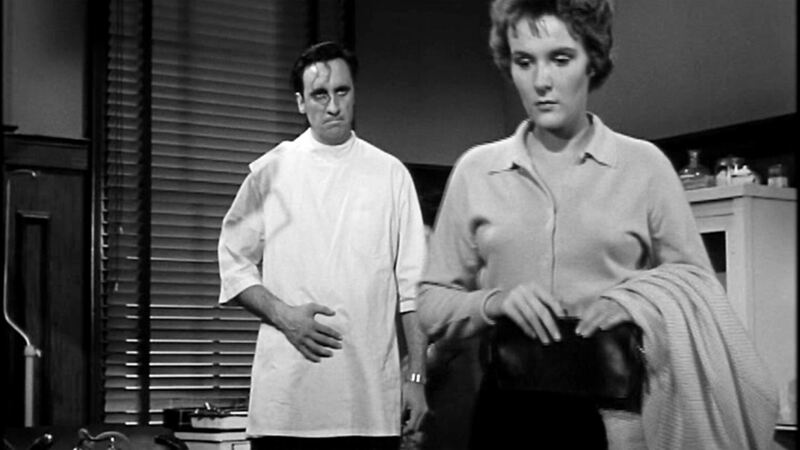 His grumpy abortion doctor is inspiring no confidence in the title character (Norma Moore). A colorized publicity still was used for this one, a common practice back then. I wonder if Tim’s pants were really that shiny blue?